25-04-2019Do you have a perfect business plan? ACCESS! 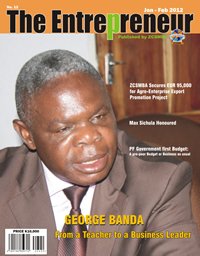 Programme -The PANACEA for Export Success: with reference to the AGOA. Zambia on June 9-10, 2011, successfully hosted the African Growth and Opportunity Act (AGOA) Forum with over 2000 participants including senior U.S. and African officials, as well as U.S. and African members of the private sector and civil society. The Oxford English Dictionary defines an entrepreneur as a person who attempts to profit by risk and initiative. The Collins English Dictionary defines an entrepreneur as the owner or manager of a business enterprise who, by risk and initiative attempts to make profits.